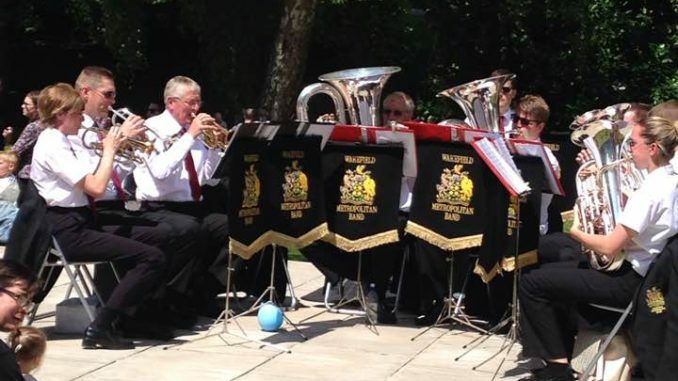 We had a fantastic time when we were invited to perform at Friarwood Valley Gardens for their Pontefract Liquorice Festival celebrations! 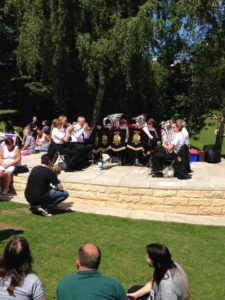 The band were honoured to be one of the first groups to play on the park’s new bandstand, that was recently restored with money from the Tesco Bags of Help scheme. 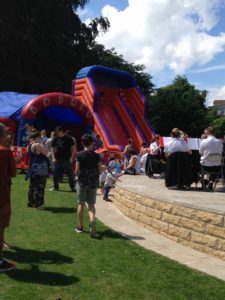 Every year the Friends of Friarwood Valley Gardens put on a day of family activities to celebrate the Pontefract Liquorice Festival which includes donkey rides, magic shows, bouncy castles, live music performances and much more! 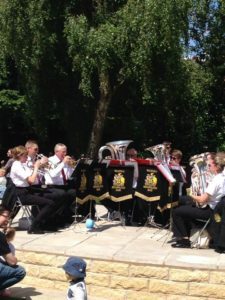 The weather was fantastic and the activities were enjoyed by all, including us!